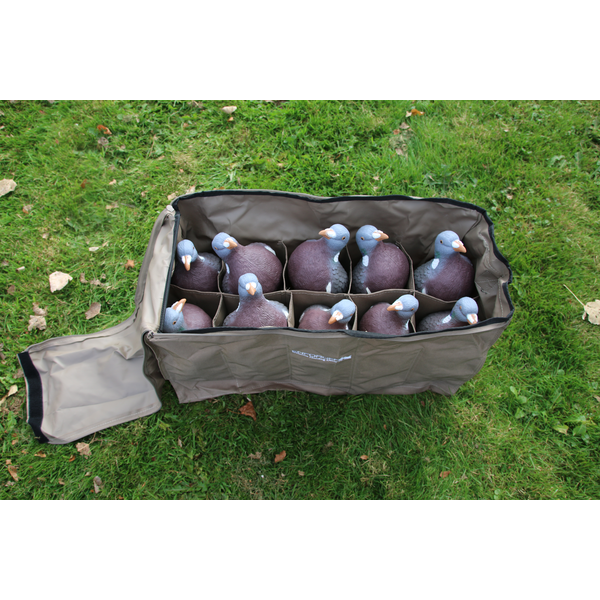 The Enforcer Pro Series 10 slotted decoy bags are made to the same high standards of quality as the Enforcer Pro Series Pigeon Decoys, the 10 slotted decoy bags are design for the Enforcer Pro Series Pigeon Decoys. 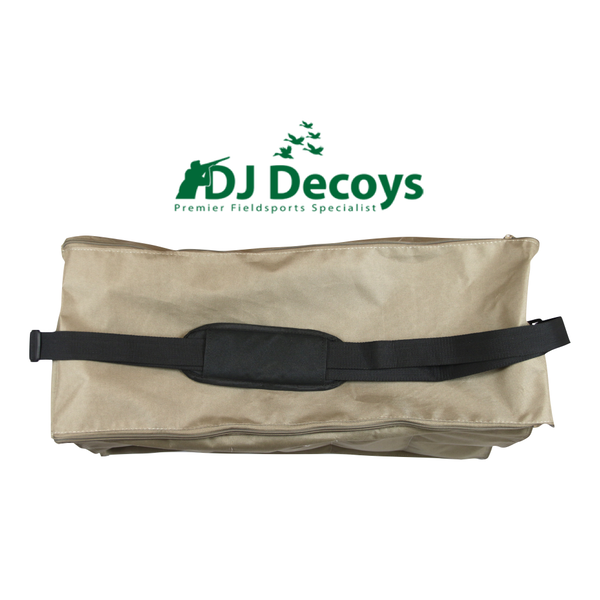 The 10 slotted decoy has an adjustable shoulder strap for easy carrying, there is also a full-length lid with a full-length zipper to keep your Enforcer Decoys safely in the bags when you are walking through high brush or across fields. The decoy bag also comes with a strong black mesh strip that runs up the middle of the bottom of the decoy bag this allows your decoys to dry off when they are wet it also allows the water to drain from your decoy bag. 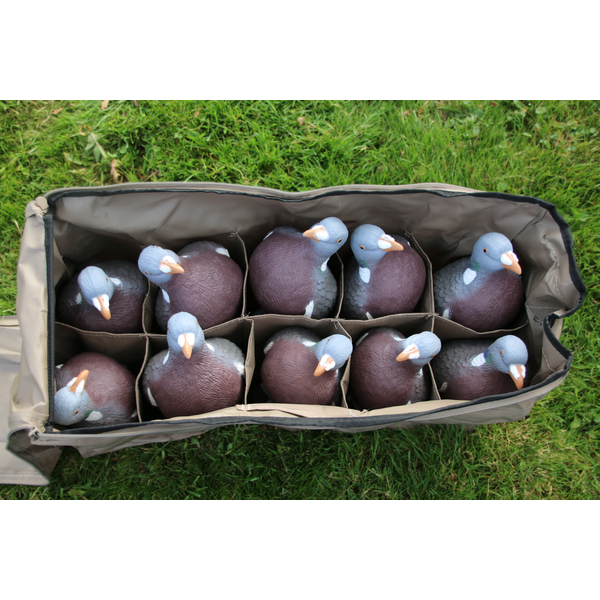 1 Pair Of Enforcer Flying Pigeon Decoys. 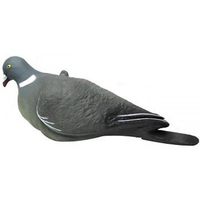 You can also find the Enforcer Full Body Pigeon Decoys & Enforcer Flying Decoys here. 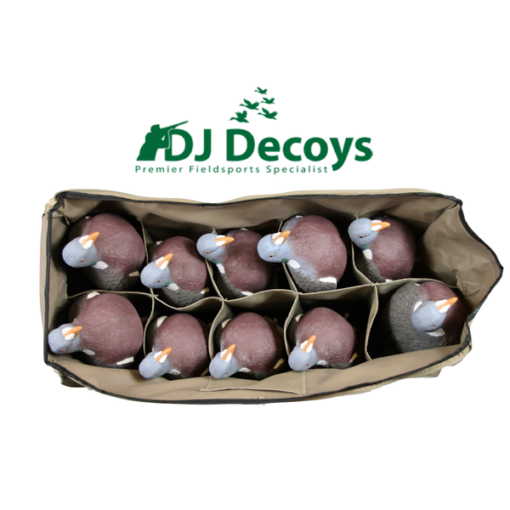 The Enforcer Decoys incorporate a 14 step hand painted finish, delivering a new level of realism and feather detailing that no other Pigeon Decoy can match. 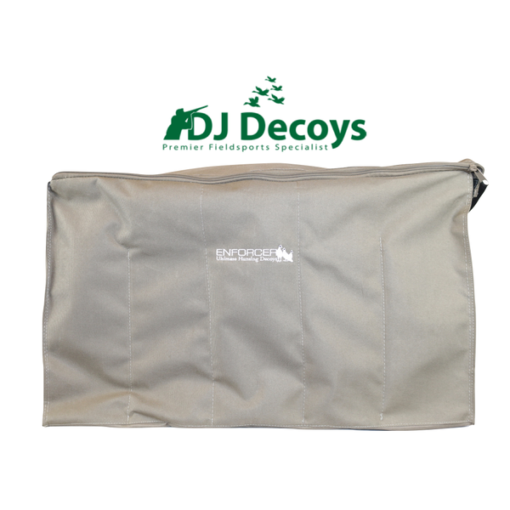 Developed using the perfect blend of plastic composite, containing 60% high-density polyethene and 40% low-density polyethene. Our Enforcer Bags have been made to the same high-quality standard as the decoys, ensuring satisfaction and stability when transporting them. 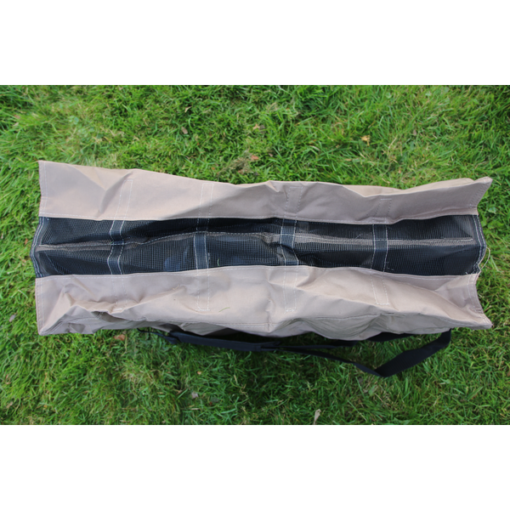 Enforcer Pro Series was designed with providing hunters across the UK & Europe with the highest quality of hunting equipment available. As Hunters with over 28 years of shooting experience in all types of shooting, we aim to provide and use the best equipment available.